As responsible fatherhood programs continue to increase dads’ motivation to be more involved, responsible, and committed in their child’s life, one challenge has become even more apparent – how do we help custodial moms support the dad’s involvement? Certainly, there is no easy answer to this challenge especially in situations where the relationship between the mom and dad has negative emotional energy surrounding it. However, it all starts with helping both parents understand that healthy co-parenting is going to increase the well-being of their children and helping moms understand their tremendous influence over the dad’s motivation to be involved. Studies have demonstrated that when mothers perceived their partners as motivated and competent to engage in child care responsibilities, fathers were more involved in childcare. Encourage the healthy development of the father-mother relationship among clients, whether or not the father and mother are together. Work with mothers to involve fathers in the lives of children. Some of NFI's Low Intensity resources such as the Pocketbook for Moms™: A Pocketbook Full of Ways to Communicate with Dad can help moms understand how to better communicate with dad so that he can be more involved in his children's lives. Encourage mothers to cooperate with fathers in raising children and vice versa, unless abuse of a child or spouse by the other parent has been substantiated. Develop marketing plans that include targeting mothers in order to encourage fathers to get involved. For example, if you have specific programs for moms, consider offering a fatherhood workshop such as The 7 Habits of a 24/7 Dad™ and ask the moms you serve to invite the fathers of their children to attend the workshop. 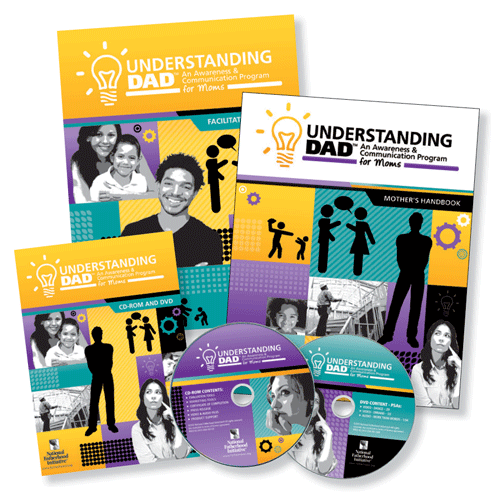 Offer specific group-based programs that raise mothers’ awareness of potential gatekeeping, how their relationship with their own father affects the relationship with the father of their children, and how to communicate effectively with their child’s dad such as Understanding Dad™. In fact, moms involving dads is SO important, that NFI now offers a suite of resources and curricula designed to accomplish all of these objectives which you can review here. Remember: Fatherhood is part of a larger system that involves the mom, other family members and the community. Even if a dad has the ability and desire to be a good dad, he will be limited by the degree to which all of these other relationships support him in accomplishing that goal - chief of which, is the mom.